No construction project (whether a private commercial project like a skyscraper or a public project like a bridge) can succeed without the input and direction of professional engineers. Because others rely upon professional engineers to render well-informed opinions regarding the safety of these types of projects and structures, the Florida Board of Professional Engineers is the entity tasked with issuing and renewing licenses for professional engineers in the state. The Board can also take action when it appears an engineer has committed an unethical, unprofessional, and/or illegal act. An engineer that does not possess a professional engineer’s license will face limited career prospects in the state; therefore, it is important that individuals facing a denial or revocation of their license retain and utilize the Tampa professional engineer licensing lawyers at the Law Offices of David P. Rankin, P.A. to resolve their licensing matters quickly. It is a mistake to assume that any licensing or disciplinary matter must be resolved through contentious and protracted litigation. In fact, in many situations this is precisely what ought to be avoided. The longer a licensing or disciplinary matter remains unresolved, the longer the engineer is not able to obtain the license he or she needs or the engineer has the unresolved issue hanging over his or her head. What is more, such an aggressive approach is not always necessary: in some cases, a license may be denied because the Board has simply not received enough information to approve the engineer’s application for a license or a license renewal. Therefore, the Law Offices of David P. Rankin, P.A. will often look for a speedy and informal method of resolving our clients’ licensing issues. This does not mean that the Law Offices of David P. Rankin, P.A. believes that all licensing and disciplinary matters can and should be resolved informally. Where an engineer is accused of committing a crime or unethical act, or is believed to have had a serious lapse in professional judgment, formal litigation through the disciplinary process may be necessary to not only clear the engineer’s name and reputation but also to conclusively demonstrate that the engineer possesses the education, experience, and judgment to perform his or her duties in a competent and safe manner. 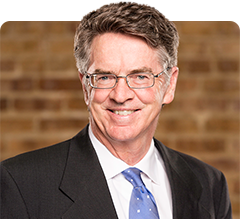 Where it is in the best interest of the engineer to proceed with a formal disciplinary hearing, David P. Rankin is experienced and skilled in presenting the relevant information and evidence in a persuasive manner so as to help ensure the engineer receives a favorable outcome. If you have applied for a professional engineer license (or attempted to renew your license) and have been told by the Board of Professional Engineers that your application is being denied because you lack the qualifications to obtain a license or have a pending disciplinary matter, speak with the Law Offices of David P. Rankin, P.A. as soon as possible to learn what actions you can take to resolve the matter quickly and successfully. Call a Tampa professional engineers licensing lawyer at (813) 968-6633 or contact us online to learn more.